Just a pleasant 1 ½ hour drive south of Sydney along the Grand Pacific Drive, Kiama makes for the perfect weekend getaway. Surrounded by endless surfing beaches, green farmland and forests and a towering escarpment, Kiama boasts some of New South Wales’ most breathtaking natural beauty. The enchanting seaside town is perhaps best known for its blowhole. The natural phenomenon always draws a crowd of eager tourists to the cliffs at Blowhole Point enthralled by the explosive waves. 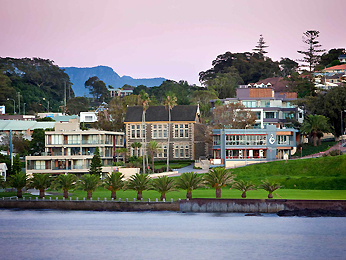 However, there is much more to Kiama than just its scenery. Pilot’s Cottage Museum and historic Kiama Terrace provide a fascinating walk down memory lane whilst Jamberoo Action Park makes for a fun day out for the whole family. For lovers of fine wine the Crooked River Winery is well worth a visit while bargain hunters will adore Kiama Seaside Market.